Meet local author and mom, Holly Zarcone! 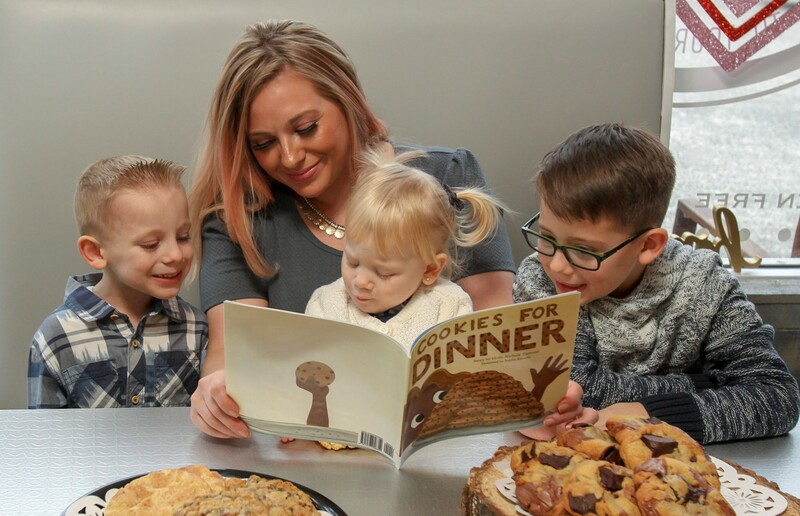 She has written an adorable children’s book called Cookies For Dinner and we are excited to tell you about it. Cookies for Dinner is fun to read with a message that every parent can relate to. Our kids are only young once , let’s live in the moment and if cookies for dinner makes everyone smile than cookies it is! I highly recommend having some homemade Chocolate Chip Cookies on hand when reading this book with your family and maybe instead of a bedtime story red it together when the kids come home from school for an inspirational dinner idea. Question 1: Is this your first published book? When was it published? Where can we get it? Cookies For Dinner is my first book and it was published in December of 2017. 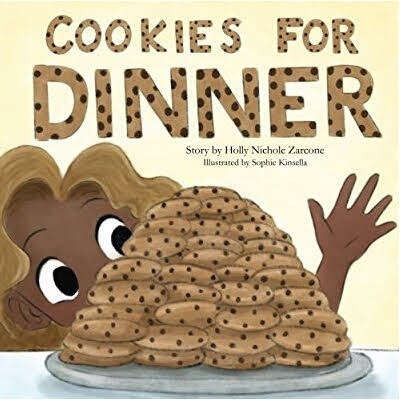 You can find Cookies For Dinner on sale on Amazon ( https://www.amazon.com/Cookies-Dinner-Holly-Nichole-Zarcone/dp/1978058357 ) , Barnesandnoble.com ( https://www.barnesandnoble.com/w/cookies-for-dinner-holly-nichole-zarcone ), and at Book Revue in Huntington Village. Question 2: What was your inspiration to write the book? I was inspired to write Cookies For Dinner one evening after putting my children to bed. Often times being a parent can be exasperating, I wanted to write a book that was fun for children to enjoy but also have a message for parents. In a world where Pinterest level perfection is portrayed as the norm and incredibly busy schedules, it is very easy to get a little lost and be very hard on ourselves. Parental guilt is a very real thing, so I just wanted parents to remember that sometimes it is ok to say whatever and do the fun thing. Childhood is fleeting and I think that it is important to take time to be silly and make memories along with doing all the responsible stuff. Sometimes you’ve got to just surrender to the madness and enjoy things. Question 3: Do you have a favorite cookie recipe you would like to share? 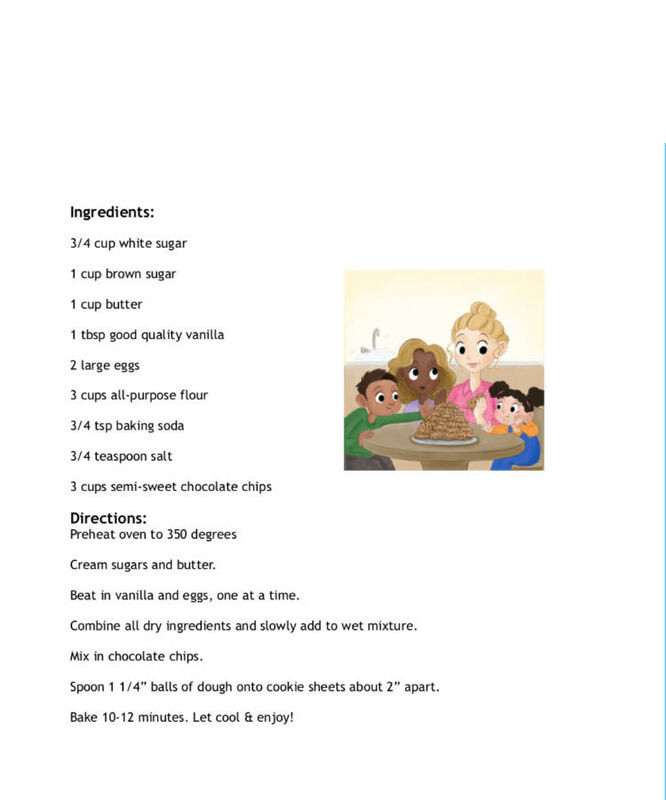 This is my recipe for Chocolate chip cookies that I used for my baking company, It is included in my book as well. Question 4: As a child did you like to write? I have written for as long as I can remember but I never had the nerve as a kid to share my writing. As I grew older I dreamed of writing a novel and had even kicked around the idea of publishing some short stories. After having kids, putting my passion for writing into a children’s book just made sense to me. It has been a very interesting process learning how to self publish and, although challenges present themselves, to be able to create something for my children to read has been amazing. My oldest has struggled with reading and he loves reading it to his brother and sister. I have already written my next book and soon I will begin the process of working with my illustrator and putting the book together. It is so exciting to watch your words spring to life in the illustration process. Question 5: Please, tell us something abut YOU that relates you to the book. My other inspiration was from the way I parent my kids. There have been moments when we totally have had cookies for dinner ( or even the odd ice-cream sundae!) Sometimes you’ve got to just surrender to the madness and enjoy things. 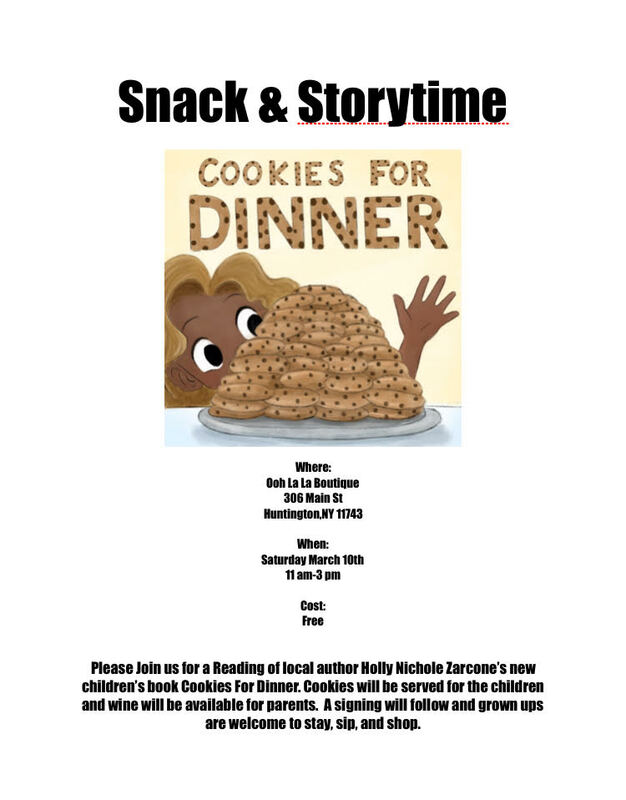 A free reading of Cookies For Dinner by local author Holly Nichole Zarcone along with complimentary cookies for the kids and refreshments for the grownups. We will also be having a signing after the reading. Books will be available for purchase. Holly has offered the chance for one of our followers to win a copy of her book on our Facebook page!